If you watch a lot of Bravo (think "Real Housewives") or follow the fashion world, you know there is a not-so-small population of women who spend huge amounts of money on designer clothes every season. Of course, many of them cannot possibly be seen in an outfit more than once. To make room in their overstuffed closets, they get rid of not-even-gently-used clothing - and often take it to consignment stores. Since many of these women live on the Upper East Side, the neighborhood is prime hunting ground for designer deals. Though Scott and I live on the Upper East Side, our apartment is "east of Third." In Manhattan-speak, that means we live light years away from the socialites and hedge-fund folks along Fifth Avenue and Park Avenue. If you peek inside my closet, you will find very few designer pieces - all of them bought at a major discount. However, I walk by designer resale shops every week, and regularly pop in to see what's new. 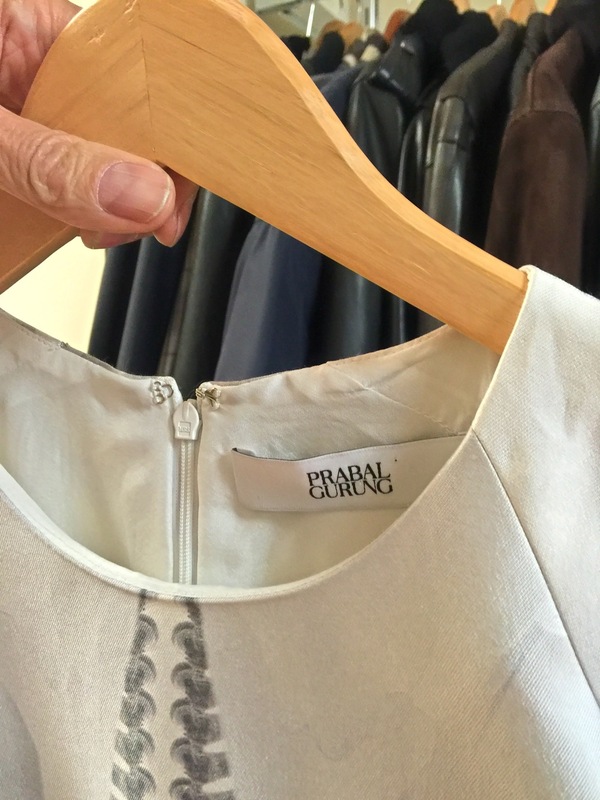 This is the first of a series of posts about high-end consignment shops in the neighborhood. While these offer great deals, they are still not cheap. 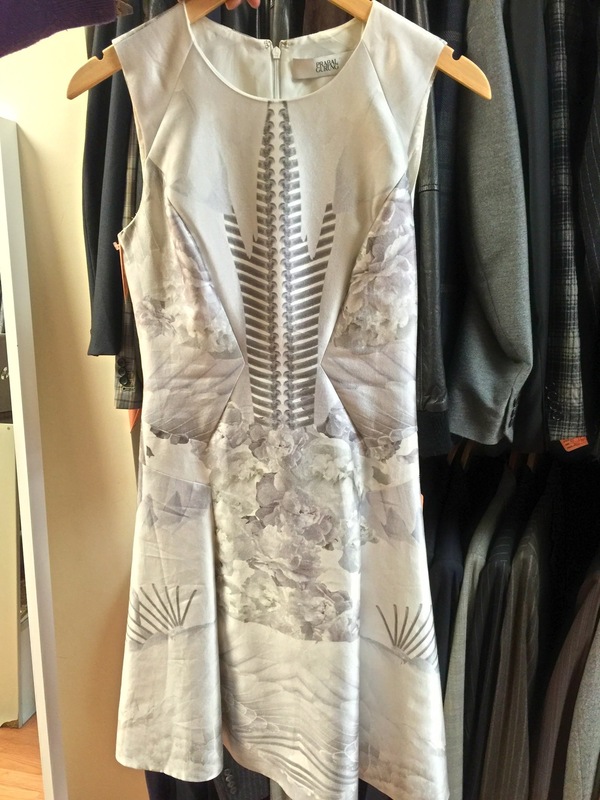 That $575 DvF dress might be $125 - not peanuts, but an amazing bargain for the dress. But we're not talking fake handbags on Canal Street here. These are the real deals. Michael's has been around for more than 60 years and according to the manager, regularly receives consignments from their Upper East Side neighbors as well as women in Dallas, Boston, Italy, Tokyo and other places. She explained that March/April (as in right now!) and September/October are great times to score deals, as women are cleaning out their closets and making room for the new season. Their shoe selection is especially easy to shop. They group popular designers together, so you don't have to dig through hundreds of shoes in search of Choos. Note this entire wall of Manolo Blahniks, or a section of the Christian Louboutin display shown above. I discovered Michael's when shopping for a wedding dress nine years ago, since at the time they sold designer wedding dresses on consignment. They no longer do bridal, but whatever else you're looking for, you'll probably find it among their two floors of designer shoes, cocktail dresses, jackets, gowns, accessories and more. I saw lots of Hermès, Chanel and Prada, and you can browse their web site to see other designers that are represented here. They are open daily, and offer some of their selection online. So, even if you're not in NYC, you can still drop by at www.michaelsconsignment.com.